We conducted a 90 day campaign which started two months before the film release involving paid campaigns for Page Likes, Post Promotions & Engagements, Trailer views etc. A standard Film Publicity strategy of bombarding the Target Audience in Film Release locations with digital posters & video content and create a remarketing Audience pool, which was used at the time of release via the Google Display Network ads, bringing them to online Ticket Booking websites. 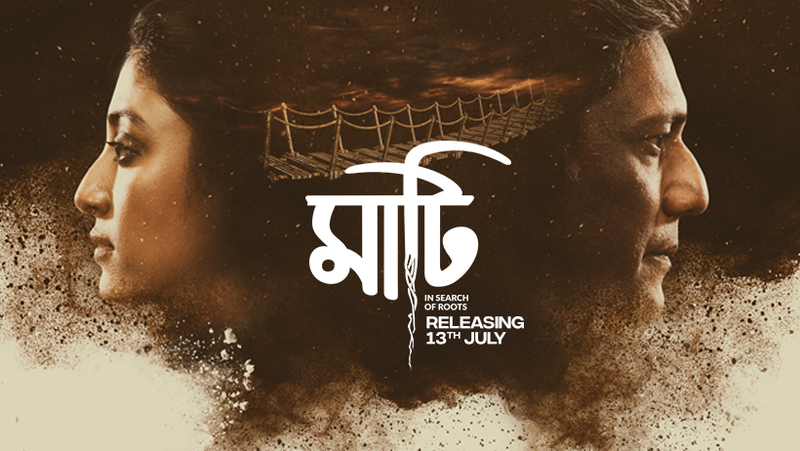 Maati was a 2018 Indian Bengali drama film, directed by Leena Gangopadhyay and Saibal Banerjee. Starring Paoli Dam, Adil Hussain, Aporajita Addhya, Sabitri Chatterjee, Monami Ghosh & others. This communication route was based on memorable dialogs from famous films by film maker Ritwik Ghatak, which dwelt on the subject of Bengal Partition, which was a conceptual corner-stone for Maati. Created with similar visual treatment, these social posts, using dialogs from Maati, were meant to connect the audience with the conceptual corner stone of Bengal Partition, and its relevance to the film. Facebook changed cover photo dimensions. Naturally, we had to adjust. Yep… we like quantifiable conversions. We created a remarketing Audience pool, from our YouTube Video Trailer campaign, and targeted this audience at the time of release via the Google Display Network ads, bringing them to online Ticket Booking websites.